I have officially made it through my first deployment and I can honestly say that it wasn’t too bad. The first few weeks were rough but once I adjusted to our new normal, everything was fine. What I learned is that deployment goes by so much faster if you are busy and focused on yourself. I had so much more free time with my husband gone and though I wasn’t sure how to handle it at first, I eventually I started to really enjoy it. I wanted to share 20 ideas of things you can do to not only help pass the time but also improve yourself. Sure, bingeing Netflix can be fun but it’s much more fulfilling to use the extra time to do the things you always wanted to do or to improve areas of your life that need work. 1. Learn about yourself. One of the best way to do that is to figure out your Enneagram personality type. There are lots of good books on the subject but this is the best book I have found. It has a test and in depth chapter for each type. 2. Clean out and organize your house. There are tons of studies showing why having an organized living space is good for you, your happiness, productivity and even sleep can improve. This is the best book to help with that! 3. Start working out. Make it a habit by setting a daily alarm and a time that you workout every day. Treat it as an appointment like any other (doctor, coffee date with a friend, etc) and do it. Walk, go to the gym or download an app like Sweat (my personal favorite). 4. Set a goal to read at least one book a month. Here are some of my favorites. 5. 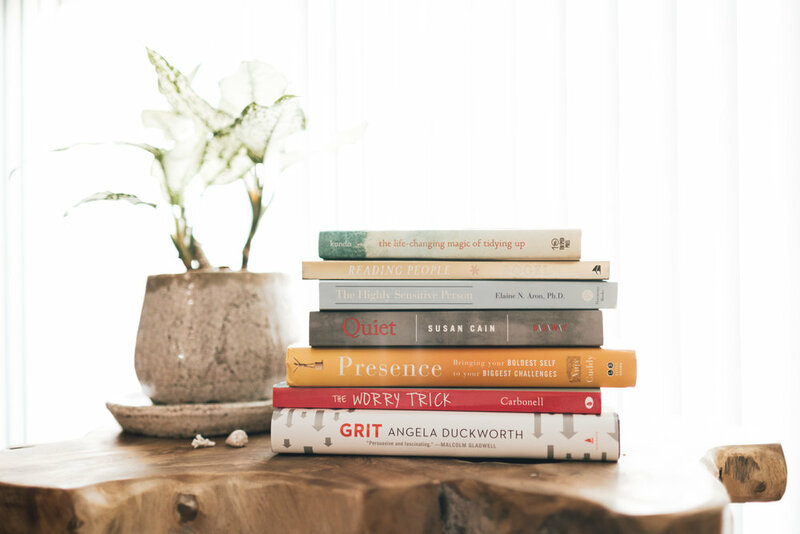 Start a book club to keep yourself accountable! 6. Keep a journal to track your progress write about the good days and the hard days. When you look back at it later, you will be amazed at how far you have come. 7. Learn to use a camera in manual. I watched Youtube videos and read tons of articles when I wanted to learn to use mine a few years ago. I started with a Canon Rebel. 8. Set a goal to walk 100 miles during deployment and track your progress! 9. Connect with your creative side. That could mean taking pictures, knitting, painting, or writing. Start a 100 day project and stick to it. 10. Go back to school. You can use your spouses GI bill if they have been in of long enough or find a scholarship. Click here for some info about scholarships that might be available to you. 11. Start a blog. Whether there is a specific niche that you are knowledgeable about or you just want to document and keep your family and friends updated, this is a great way to stay busy and there are tons of resources on Pinterest to help you. 12. Learn to cook or start a new diet (it’s easier when you don’t have to cook for someone else). 13. Volunteer somewhere that is meaningful to you. This is also good if you aren’t working to keep your resume current. 14. Keep a gratitude journal like this 5 minute journal. 15. Start a garden. You can grow something easy like herbs or tomatoes! 16. Learn something you have always been interested in. You can learn just about anything by watching Youtube videos. You can even learn a new language for free with Dualingo. 17. Put together a care package or write letters to your SO. 18. Start a business! It’s easier than ever to start your own business with Instagram, Pinterest and Etsy. 19. Begin a morning routine to make yourself more productive. I like this book . 20. Start a new career. Use your extra time to figure out the things you love and go after them! I started my photography business shortly after my husband deployed and it was the best decision I could have made. And if you’re just tired of deployment, read this post. What things do/did you do to stay busy during deployment?